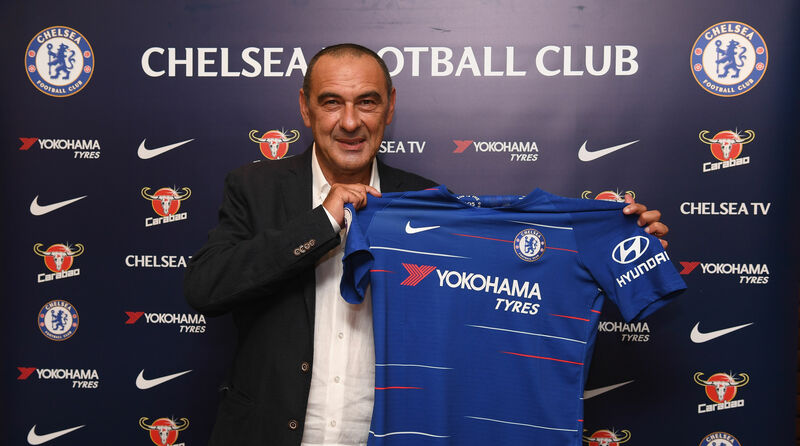 Chelsea confirmed the worst kept secret in football this week as they announced the arrival of former Napoli boss Maurizio Sarri and confirming the departure of Antonio Conte. The 59-year-old Italian had already been replaced at the Stadio San Paolo by Carlo Ancelotti, himself a former manager at the Bridge, and completes a change in tact from the Chelsea board in employing a manager that currently has no major honours to his name. Previous bosses Jose Mourinho, Ancelotti and Guus Hiddink had all won things at the top level prior to their appointments and it became an unwritten law that the board wanted the finished article to represent the club as their manager. Sarri’s first job at the bridge will be to stave off interest from Europe’s elite clubs for the likes of Eden Hazard and Willian, with Thibault Courtois and N’Golo Kante also attracting attention. Sarri had a very successful season last year with Napoli and nearly disrupted Juventus’s dominance of Serie A with a resolute title bid. That Napoli team played in a certain style, however, and many feel as if Willian and Hazard will suit that style of play if he indeed adopts the same tactic whilst at Stamford Bridge. Speculation is rife that Sarri will want to bring some old friends with him across the channel and that came to fruition on Sunday with the announcement of the signing of Italian midfielder Jorginho. The 26-year-old was instrumental in Napoli’s title bid last season and will give support to the likes of Kante and Cesc Fabregas in the coming season. Another former Napoli player in Gonzalo Higuaín has been linked with a move to the Bridge and despite not getting the chance to manage the Argentine whilst at the Napoli helm, Sarri will be keen to add to the number 9 position that only mustered 14 league goals between Olivier Giroud and Alvaro Morata last term. In a normal year, July 15th would be considered an early stage in pre-season but with the transfer window now closing early on the August 9th, Maurizio Sarri is going to have little time to get his feet under the table and confirm arrivals and departures in what will be a frantic post-World Cup market.